The team includes Harry, his wife Angela, and their two sons Justin and Devan. We work together to provide the highest quality service for our clients. Harry, Justin and Devan are all REALTORS®. 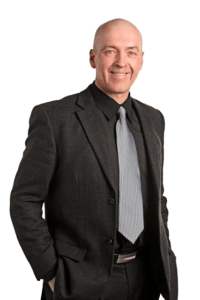 Whether you’re looking for rural property in Saskatchewan, or ready to sell or downsize your farm, Harry Sheppard is the right guy for the job. A long-time farmer, Harry understands agriculture and real estate, a winning combination that guarantees the results you’re looking for. Raised on a farm near Pangman, Sk, Harry Sheppard brings to this business many decades of agricultural knowledge and experience, a unique quality in the real estate industry. 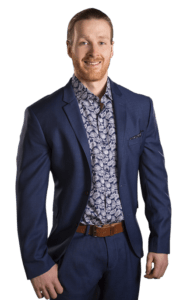 Justin is a born and raised Saskatchewan guy who grew up in the rural community of Pangman, SK before moving to Regina 13 years ago. Since moving to Regina Justin has been an active member of the Saskatchewan music community as a professional musician and songwriter, and he earned his guitar masters certificate through the prestigious Berklee College of Music. During this time he has toured across Canada multiple times and performed at numerous music festivals as a guitar player in Rock, Funk, Pop, Jazz & Hip Hop bands. Justin got into real estate 5 years ago and he hasn’t looked back since, relishing in the opportunity to work with a passionate family team and serve the community he calls home. Since starting the real estate journey Justin continues to be inspired by the hard working people that he has the opportunity to work with, his clients fuel his fire to continue to always strive to deliver the best service and experience possible. Justin got his start in sales first by selling digital cameras at an electronics store, and later he naturally moved onto selling guitars and musical equipment at a local Regina music store. It is here that he learned the importance of listening to what his clients want and need, a crucial skill in helping people find exactly what they are looking for. “My job is to listen and guide, not hard-sell my clients on anything. People know what they want, and I do my job best when I listen to exactly what they are looking for and help them find exactly that”. It is this attitude and approach to his profession that helps him deliver results and incredible customer service for both his buyer and seller clients alike. Devan has lived in Saskatchewan his whole life and has had a passion for business stemming from his entrepreneurial spirit that sparked at a young age. He has now come full circle and is serving his community as a Residential, Farm and Commercial REALTOR®. Education is important to Devan who has his B.B.A. from the University of Regina with a major in marketing. He is committed to continue learning through books and courses for personal development that will in turn help him better serve clients. Devan has worked with his family team in real estate since 2011, during which he has learned tremendous amounts about the real estate industry. When serving clients, he always put himself in their shoes to ensure they are treated in a manner that he or anyone else would be satisfied with. To achieve this, Devan always strives to go the extra mile and raise the bar instead of just meeting it. Health and wellness have always played a major role in Devan’s life. From a young age playing sports, to his current commitment to the gym and all other aspects of living a healthy life, his commitment is strong. Transferring the high level of commitment and dedication nurtured in the gym into the service he provides to clients makes Devan the agent you can count on! Devan has lived in Saskatchewan his whole life and has had a passion for business stemming from his entrepreneurial spirit that sparked at a young age. He has now come full circle and is serving his community as a Residential, Farm and Commercial REALTOR®. Education is important to Devan who has his B.B.A. from the University of Regina with a major in marketing. He is committed to continue learning through books and courses for personal development that will in turn help him better serve clients. Devan has worked with his family team in real estate since 2011, during which he has learned tremendous amounts about the real estate industry. When serving clients, he always put himself in their shoes to ensure they are treated in a manner that he or anyone else would be satisfied with. To achieve this, Devan always strives to go the extra mile and raise the bar instead of just meeting it. Health and wellness have always played a major role in Devan’s life. From a young age playing sports, to his current commitment to the gym and all other aspects of living a healthy life, his commitment is strong. Transferring the high level of commitment and dedication nurtured in the gym into the service he provides to clients makes Devan the agent you can count on!